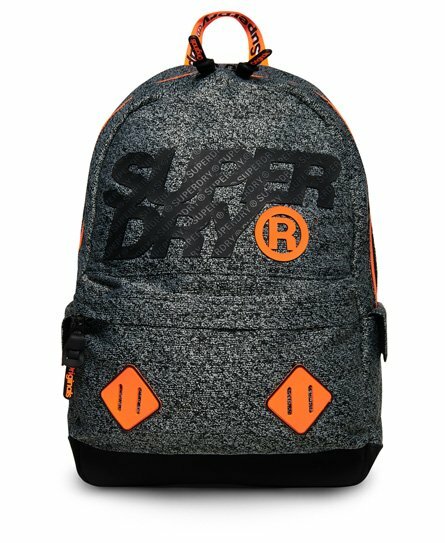 Superdry men’s City Montana rucksack. With bags of charm, this new Montana rucksack is a must-have accessory for your everyday wear this season. It features a Superdry logo across the front, a Superdry branded top grab handle and secured by a top zip fastening, This rucksack also has Superdry branded shoulder pad adjusters, padded back and straps for comfort and durability as well as a front zip compartment. For the finishing touches, this rucksack features Superdry branded zip pulls and a rubber Superdry logo on the shoulder strap.